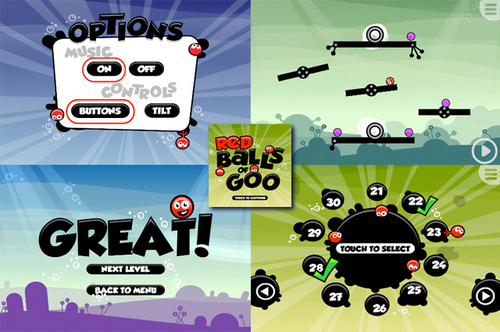 Squash the Goo's as you roll, climb, bounce and zoom around devilishly designed levels. A challenge awaits anyone hard enough to squash some Goo's! Really fun pick up and play type game! This game has great graphics, simple yet fun game play, and nice controls. i love this type of game for those times when you are waiting in line or waiting for the train/bus. Just load it up and you are having fun right off the bat. Put it away pick it up again a few days later and you're back having fun! Really great game from the guys at Utopian Games. This is a great game for the kids as well. Keep it up you guys rock. Also try out there Bumps game.